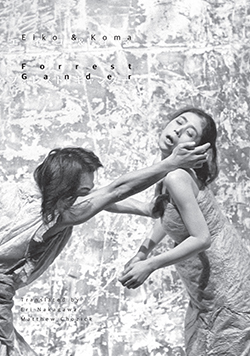 Sublime and delightfully observant, this poetry collection by renowned American poet Forrest Gander playfully extends the dances of Japanese performance art unit Eiko & Koma. What emerges is a transfixing, dexterous use of poetic form that transposes a theatre of movement onto the page with delicacy and profundity. This book is enhanced with photographs by Anna Lee Campbell and a parallel Japanese translation by Eri Nakagawa and Matthew Chozick.